Many studies confirm that the dietary habits our ancestors used to practice are healthier than how we eat now. We’ve lost a lot of their traditional knowledge and replaced it with modern methods that value efficiency and convenience over nutrients. One of the greatest habits we can adopt from our great-grandparents is the importance of fermented foods. Older kitchens didn’t have the luxury of large refrigeration systems so many people relied on fermentation to preserve their foods. Not only did this keep food fresher, longer but fermented foods give us huge doses of “friendly” bacteria. All of those bacteria do a host of functions for us. They break down food into smaller bits so we can better absorb nutrients. They make nutrients for us, such as vitamin K and B12, which are vital for blood clotting and nervous system function. They help prevent sickness by releasing a chemical around their colonies, which prevents any unfriendly bacteria from being able to colonize. Studies show that these microorganisms have influence over our body weight, energy, and nutrition levels. If we eat too much nutrient deficient food, then these bacteria are as well and this causes a domino effect that deteriorates our overall health. “The microbes in the human gut belong to three broad domains, defined by their molecular phylogeny: Eukarya, Bacteria, and Achaea. Of these, bacteria reign supreme, with two dominant divisions — known as Bacteroidetes and Firmicutes — making up over 90 percent of the gut’s microbial population… Within the bacterial categories… enormous diversity exists. Each individual’s community of gut microbes is unique and profoundly sensitive to environmental conditions, beginning at birth. Indeed, the mode of delivery during the birthing process has been shown to affect an infant’s microbial profile. Communities of vaginal microbes change during pregnancy in preparation for birth, delivering beneficial microbes to the newborn. Even as we are being born into the world, bacterial interaction has a huge impact on our health and well-being. We are dependent on our mothers to gain enough friendly bacteria to create a strong immune system and provide necessary nutrients for vital development. Studies show that families share up to 90% similar strains of bacteria that stick with us for decades. Also, even unrelated people who live or work together for an extended amount of time will have similar strains of bacteria. We have great coverage of protection within our bodies but also on our skin. All of these bacteria need to be protected and cared for. The food we eat affects them and the job they do, but also when we use antimicrobial gel and other cleaners we are killing off these friendly bacteria, and destabilizing our immune system. Taking antibiotics has the same effect. They wipe out all of our bacteria, throwing the baby out with the bath water. The principal purpose of prebiotics is to promote the growth and proliferation of beneficial bacteria in the intestinal tract, and thus, potentially yield or enhance the effect of probiotic bacteria. Prebiotics increase absorption of certain minerals (such as calcium and magnesium). Prebiotics may also help inhibit the growth of lesions, such as adenomas and carcinomas in the gut, and thus reduce the risk factors involved in colorectal diseases. Prebiotic effects on mineral absorption have been investigated and recent human studies have confirmed that specific prebiotics, such as non-digestible oligosaccharides (NDOs), enhance calcium absorption. However, this effect varies according to the individual NDO and particular human population studied, which is thought to be due to its specific fermentation profile and the amount consumed. Preliminary studies suggest that prebiotics may have a favorable effect on the immune system and provide improved resistance against infection. For prebiotic substances, little data pertaining to lipid-lowering effects are available and come mostly from studies with inulin and oligofructose. In hyperlipidemic subjects, when a prebiotic effect is seen, it is a reduction in cholesterol; whereas in normal-lipidemic subjects, any noted effects are on serum triglycerides. While some of the pro- and prebiotic beneficial effects on the function of the human gut have been established and their favorable impact on health widely supported, further scientific research is ongoing to substantiate their direct relationship to disease risk reduction. How Can We Boost The Number of Friendlies in and on Our Bodies? 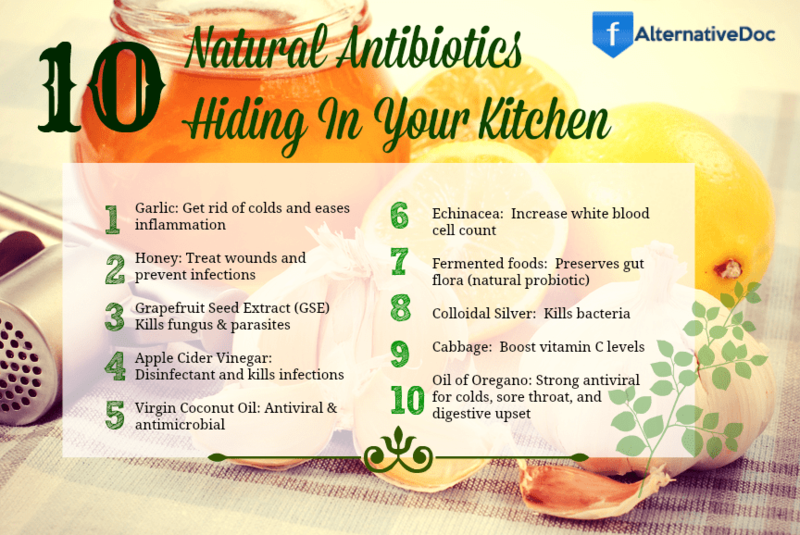 The best way to increase the amount of good bacteria is to eat fermented foods (recipes below!). Studies show that there are more friendly bacteria in 2 tablespoons of fermented foods than an entire bottle of probiotics. You can also take supplements if fermented foods are unavailable to you, you are unable to make them, or maybe do not like the taste. It is very important to constantly replenish these microbes so eating or ingesting them in a pill form is important. Look out for fake supplements. It’s important to get a high number of these microbes past your stomach acid. All these high bacteria count supplements aren’t as important as finding supplements that are enterically coated. Please email me for more details at syncrawnicity@gmail.com. Another way to keep our microbiome happy is to drink lots of water and exercise. Remember, our cells (these bacteria count as cells) are swimming in all the waste that is created as our digestive system breaks food down and turns it into nutrients. It is called metabolic waste. Our bodies are alkaline by design and acid by function. We need to support this system by flushing out the acids with plenty of water and ensuring we are having plenty of regular bowel movements. We lose bacteria through our bowel movements but this is normal and why we need to replenish orally. There is a myth that getting colon hydrotherapy can deplete your friendly bacteria but, since we ingest them through our mouth and they are naturally flushed out through the colon when they are done doing their job, you can disregard this myth. It is important to support the cleansing process our bodies naturally want to do with colon hydrotherapy, especially when you are doing a deeper cleanse or healing from a chronic illness such as diabetes, obesity, or cancer. It is critical to replenish your gut bacteria if you have a long history of eating fast food, processed food, cooked food, had surgeries, and have taken antibiotics even once. Not only does our gut flora suffer from these poor treatments but our physical health deteriorates as well. It is now known that we can even affect our gene expression and create metabolic disorders. Additionally, there are studies that link reduced anxiety with increased probiotic intake, especially when people have a genetic anxiety disorder. Remember, the best way to optimize your microbiome is to have a much larger amount of friendly bacteria than unfriendly. The ideal balance is 85% good and 15% bad. 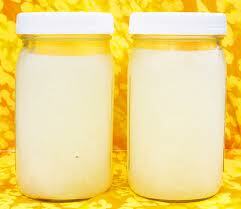 In order to do this effectively, it is ideal to consume fermented foods as mentioned before. There are always side effects to anything we do. Some can be seen as good, some bad. When we revert back to a more natural state and we understand why it’s important, one particular side effect becomes more understandable and tolerable: farting. Yes, eating healthy food and having plenty of friendly bacteria can lead to a higher gas situation. This is actually normal. Think about cows and horses. They pass gas quite regularly and are ingesting bacteria with every bite of grass from the ground. There is bad gas too. If it smells like rotten eggs then you most likely ate something you were not able to digest properly, you have a higher imbalance of unfriendly to friendly bacteria, or you may even have an infection. Our body is telling us something and we need to listen. Preventing constipation is a very important part of having a normal digestive process and will also prevent food from fermenting, putrefying, or becoming rancid in your gut. Again, exercise and water are very important for proper body support. It’s important to learn as much as possible about what your body is trying to say to you. Many of the health effects we are experiencing are due to poor diet, lack of exercise, not enough water, and an imbalance of friendly bacteria. Read the articles below to gain a deeper understanding. The more we understand the more we feel empowered, which stimulates motivation and action! Pour into jars, close lids tight, and store in dark cabinet for about 48 hours. It should taste tangy and only slightly sweet. Refrigerate and enjoy fizzy, probiotic coconut kefir! Scoop soft meat out of the coconut shells and place in a blender with other package of kefir starter. Add water and blend to desired yogurt consistency.